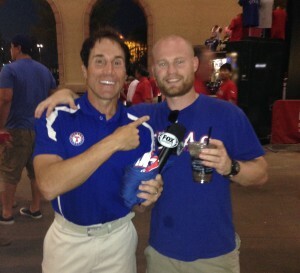 Here’s the deal…Last night we went out to watch the Texas Rangers play the Seattle Mariners. 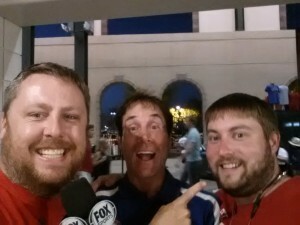 Not only did we watch the Rangers lose, but we ran into Fox Sports sideline reporter Jim “Knoxie” Knox. Knoxie stopped to take a few quick pictures with Hunter, Matt, and Steven.